When you think of conversions, do you only think of that moment when a visitor to your site becomes a paying customer? You’re not wrong, that is the ultimate conversion, but you’re missing out on a lot of great data by tracking only that single conversion as a measure of success. In this article, we’re going to cover the smaller actions that lead up to the larger goal: micro conversions. A micro conversion is a single action taken by a visitor toward completion of a primary conversion goal (referred to as a macro conversion). Micro conversions are typically things like newsletter signups, adding products to a cart, or downloading lead magnets. A macro conversion is the completion of a primary call to action by your site’s visitors. For eCommerce sites, this is probably always going to be a purchase. A macro conversion could also be giving a donation or providing a lead. It may sound complicated right now, but by the time you’re done reading this post you’ll be an expert in micro conversions, how to track them and why you should, and the best metrics to use. We’ll also share some great examples of micro conversions that convert well and that will get you to that ultimate conversion goal. For now, just remember that micro = little and macro = big. Why Should You Track Micro Conversions? Now that you know exactly how many conversions you get every single day on your site, let’s talk about why you need to be tracking them. For starters, visitors rarely make a purchase on their first visit to your site. Instead, conversion builds through a lot of smaller activities and this combination of micro conversions leads to a sale. How? Let’s go into a bit more detail for each of these benefits. Even when visitors aren’t buying things on your site, understanding their actions is important and informative. Since people will come to your site for any number of reasons, you’ll want to use micro conversions to show you what those reasons are so you know how to handle them. The more you know about your visitors, the easier it will be to segment them which means that you can create more targeted campaigns that will guide them to a sale. Once you break down visitor actions into smaller micro conversions it’s easier to then identify key areas on your website that can be optimized separately from the rest of the site. Take Woodside Communities for example. They already knew that their site traffic was well qualified, so they focused on capturing contact information from as many of those qualified visitors as possible. To do that, they used the popup campaign below from OptinMonster. 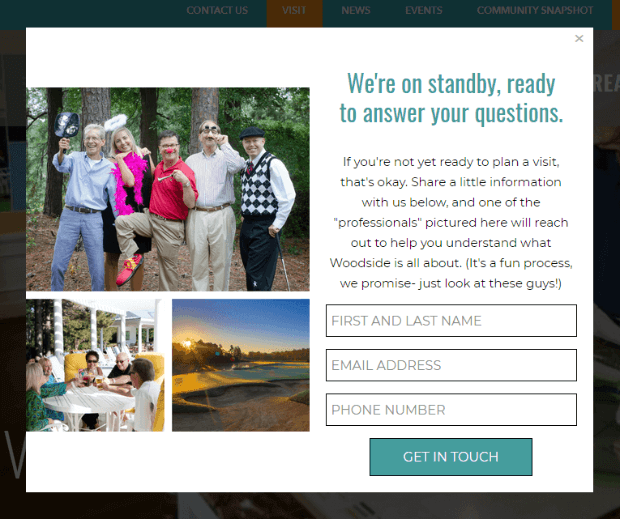 With this popup form alone, Woodside Communities was able to increase collected leads from 46 to 116 in just two months. When you take their overall conversion optimization into consideration you find that they’ve been able to increase leads 476% and increased revenue $294,435 in under two months. Once you’re able to do all of the segmenting and targeting, the leads you get will be better and better. And, by then you’ll have even more information to nurture those leads into sales like Wholesale Suite. 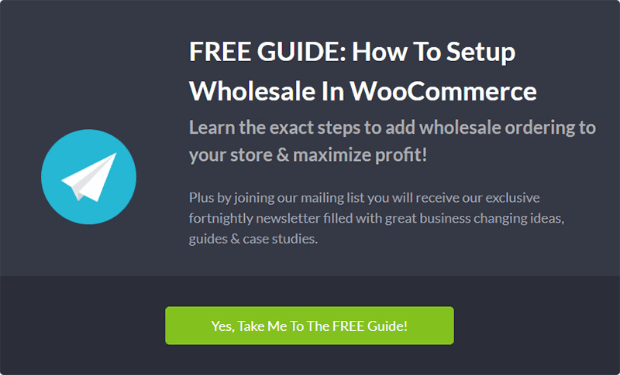 Wholesale Suite was able to use 2-step conversions from OptinMonster to drive landing page traffic that has a conversion rate of greater than 40% and results in 15-20 highly qualified leads every day. There are many different ways to nurture your leads. One of the best ways to do this is to simply create site content that addresses common pain points that potential customers might face and that your product or services solve. You can also use personalization to customize communications to potential customers as much as possible. People love being made to feel important, and something as simple as using someone’s name can go a long way to build trust. Just as there are different ways to nurture leads, there are also different ways to communicate with leads. When you track your micro conversions, you can see which communication channels are most effective for you and your target audience. This shows you where you should focus your communication efforts in the future. 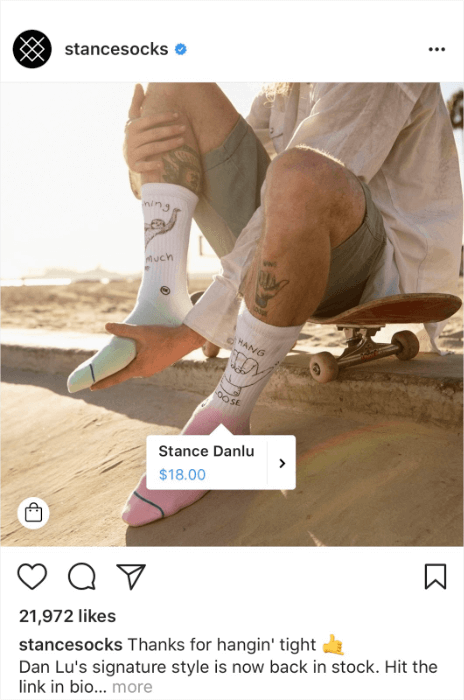 If your target audience is big on Instagram, but you rarely post there, perhaps it’s time to start focusing more communication and marketing efforts there. You have to go to your audience, you can’t expect them to come to you. You’re online and mobile. They expect you to be everywhere. Now that you know how important micro conversions are to the success of your online business, what are the best micro conversion metrics to track? Let’s take a look. Micro conversion analytics are really no different than your standard eCommerce conversion tracking. This means that you can track micro conversion analytics with MonsterInsights and Google Analytics, just as you would your other site analytics. 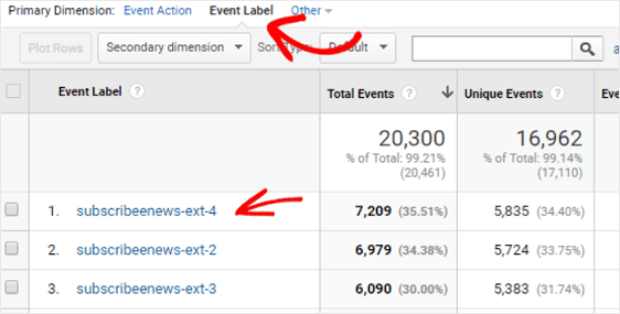 In this section, we’ll cover how to set smart goals in Google Analytics, as well as how to easily use MonsterInsights to track your micro conversion Google Analytics right from your WordPress dashboard. What is the macro conversion for your website? That is, what is the final action you want visitors to take? Can visitors easily figure that out? List the micro conversions that lead up to the final conversion. What will visitors likely need to do before they are comfortable enough with you to take the final action? Figure out where you need to focus your optimization efforts. How well are you presenting the micro conversions to your visitors? Where can you improve? Finally, measure, test, and optimize. You can track the success of any of your micro conversions by creating it as a goal in Google Analytics and then running a conversion rate report. That’s it! Now you know everything you need to know about micro conversions and how to optimize your site to take advantage of them. If you’re looking for more ways to optimize your eCommerce site for conversions check out our conversion rate optimization guide. Want to create incredible optin campaigns to help you grow and segment your email list and keep those small wins building? Join OptinMonster today! Great post, nice to see that someone shares the same enthusiasm about all the edu-blogs out there! Keep up the good work! The information really amazing to read this is my first visit and please share this type of article it also provides information. And I would like to thanks for this information that I had been looking. The information you shared here is unique and informative which is very rear to see nowadays. Thank you for sharing this excellent information expects some additional in near destiny.